1. I enjoy being outdoors and spend an inordinate amount of time fishing. 2. I have a great interest in horse racing, I attend a lot of horse racing events throughout the year both in Ireland and the UK. 3. My house is from the 1690’s and I spend a lot of time and money restoring it and keeping the grounds. 4. I’m a big hurling fan. 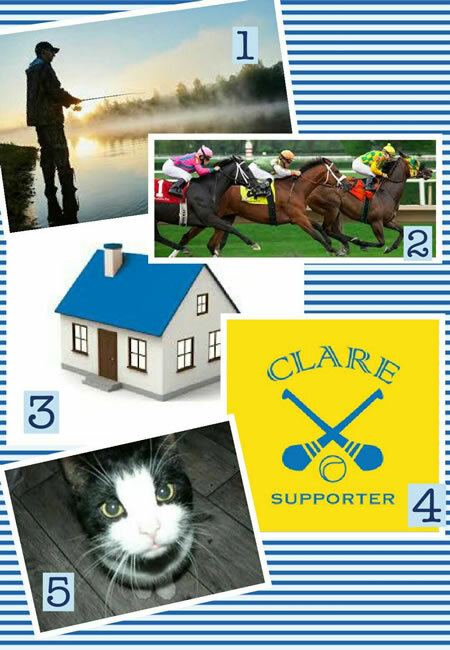 I was lucky to be gifted with a season hurling ticket and attend all the Clare matches throughout the year. 5. This is a picture of Felix, he has imposed himself as resident cat at my house, he expects much but offers little in return.